During this holiday season, we celebrated the miracle of Chanukah. In 2016, there’s still time to create Chanukah miracles, even without leaving your kitchen. 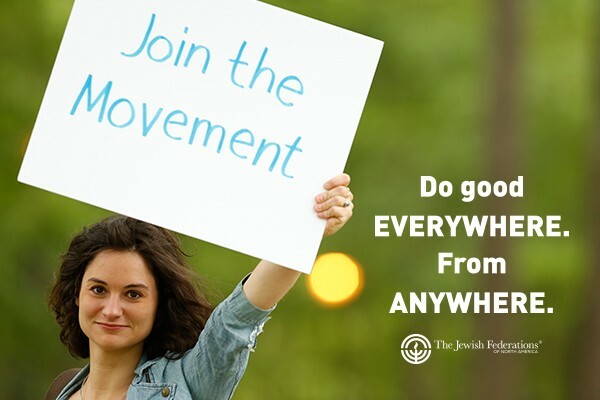 As we settle into the new year and look forward to Spring, we reflect upon the far-reaching miracles your gift to the Jewish Federation makes possible. Here in Richmond, your gift helps bring Jewish children together to celebrate our holidays and learn their heritage. JCFR IMPACT GRANTS help the elderly with counseling, health and education programs, and much more. We help millennials by providing a young professional’s network and a connection to their heritage. Your gift to the 2016 Annual Campaign makes Chanukah miracles happen wherever and whenever there’s a need. Food gets to impoverished Jewish communities on five continents. Persecuted Jewish families build new lives in Israel. Jewish teens and young adults forge closer bonds through programs like Taglit-Birthright Israel. Just $36, $72, $100 or more can make the next Chanukah for so many more meaningful. The ability to "Do good everywhere. From anywhere," can create miracles for so many. As always, contact me at 804-545-8622 or email sasher@jewishrichmond.org.